Throughout history ancient cultures have regarded grains as a sacred food, like medicine for the soul, it symbolized the essence of their spirituality that meant more than just sustenance. Grains played a significant role in shaping and influencing daily culinary, ritual, and spiritual practices. Ancient grains tell stories about past civilizations that offer insights into their traditions and cultural values that were important to their life. Quinoa, the legendary grain of the Incas, was known to sustain the body with endurance and to increase deeper spiritual powers through meditation, and with respect, honored as the “mother grain.” Aztecs highly valued amaranth as “the food of the gods,” and for its supernatural health properties that was central to their spiritual rituals. In the Hindu culture, grains played a role in important rite of passage ceremonies beginning with the ritual of baby’s first solid food, or spiritual food called the “feeding of the grains;” as well as, in weddings and in after life– funerals. With appreciation for the deeper meaning of ancient grains that was once held sacred, and kept close at heart, I am mindful of my student, and her profound sense of curiosity to express a question the great philosopher, Socrates might ask– Do whole grains have a soul? 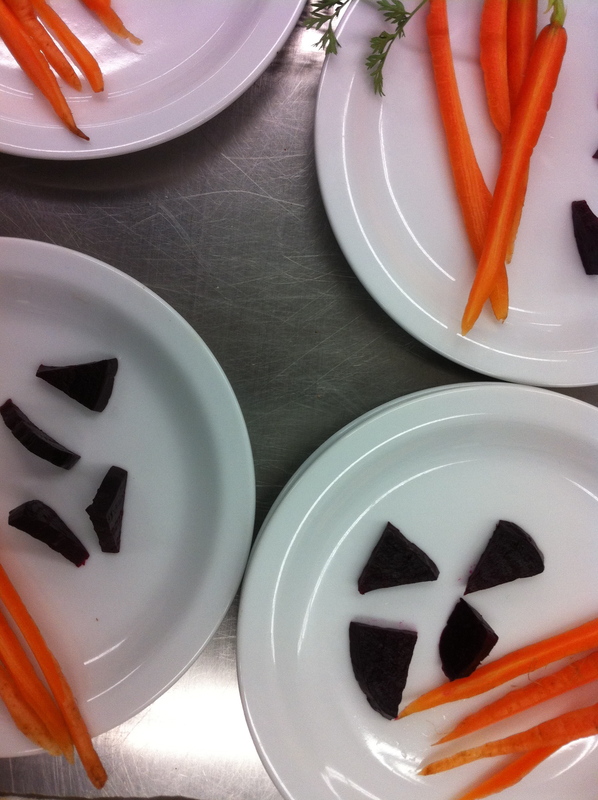 Fun facts about root vegetables ignite sparks all around the cooking room, with an atmosphere that becomes electric as students discover the magic of sweet beets, a vegetable, by no means is fancy, and is often misunderstood. Slices of roasted beets fanned across a white plate, accented by a single carrot, fresh from the ground, is a visual study on contrast that makes our eyes pop from the deep intense purple that looks like it is dripping paint. Students dance with excitement as they prepare a tasting plate of raw carrot with its long leafy stem, next to thin petals of tender honeyed beets that look translucent. 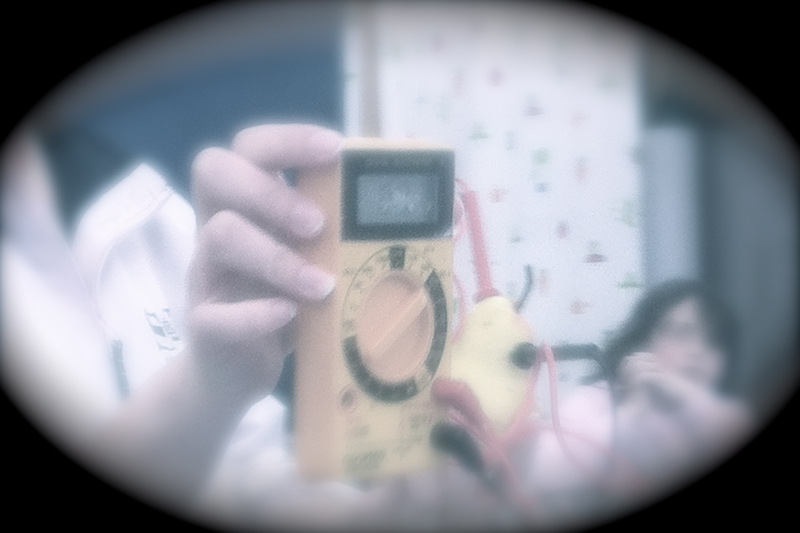 For a preview of next week’s recipe created for the Science of Cooking Series, please click here. 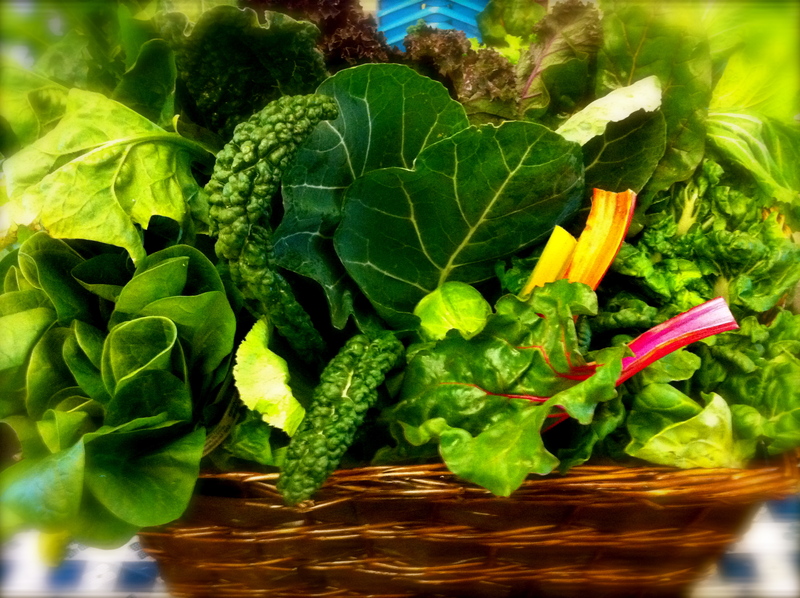 Love is Green: From the wildly diverse Brassica clan, to the vast palette of mustards, cabbages, and leafy greens, our harvest yield this month is overflowing with a cornucopia of Winter Greens that is so compelling, it draws students into cooking class like a magnet. Since Valentine’s Day is around the corner, it is an auspicious time to share our feelings of love and how it relates to our nature’s bounty. Our opening question begins with, “What color is love?” “Red, purple, pink, even black,” are a few of the excited responses from students, and quickly we learn that love can have different meanings. It should come as no surprise to anyone, that I am, in fact, deeply enamored with Winter Greens, and so quite predictably, the color of love to me, means green, which is a natural and perfect springboard into our lesson— Love is Greens. Greens get its due. Highlights to our lesson lead off with the waxy broad leaf Collard Green, once considered a poor man’s food, have tufted rosettes of leaves supported by a sturdy upright stem which can grow up to 4 feet, is in sharp contrast to the colorful stems of the gorgeous Rainbow Chard that make it remarkable and as true to its namesake, and undeniably rules as the beauty queen of greens! Dinosaur Kale with its deeply ridged green leaves is a jewel of nutrition that is unusually rich in nutrients and regarded as a super food. And not to be outdone, Broccoli Rabe with its feathery leaves, clustered flower buds, and nutty-bitter nuances, pairs nicely as a counterbalance of flavor in a mixed bunch of greens — is arguably the best topping on pizza, ever. 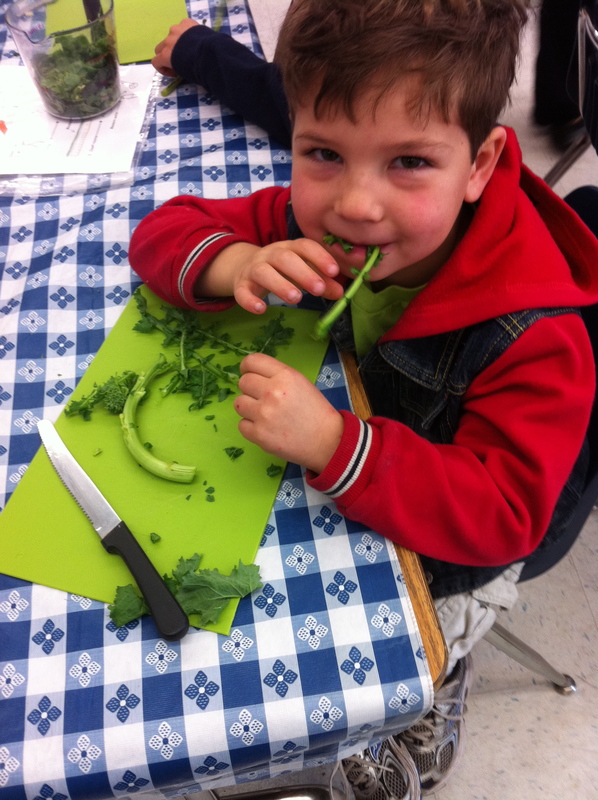 Students enjoy preparing the featured Collard Greens, Rainbow Chard, Dinosaur Kale, and Broccoli Rabe in this Mac N’ Greens recipe. 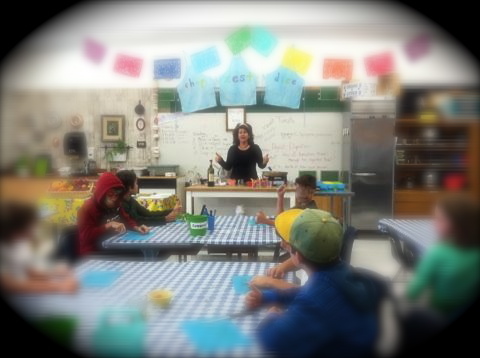 The cooking classroom is a perfect learning environment for students to see their academic lessons come to life. 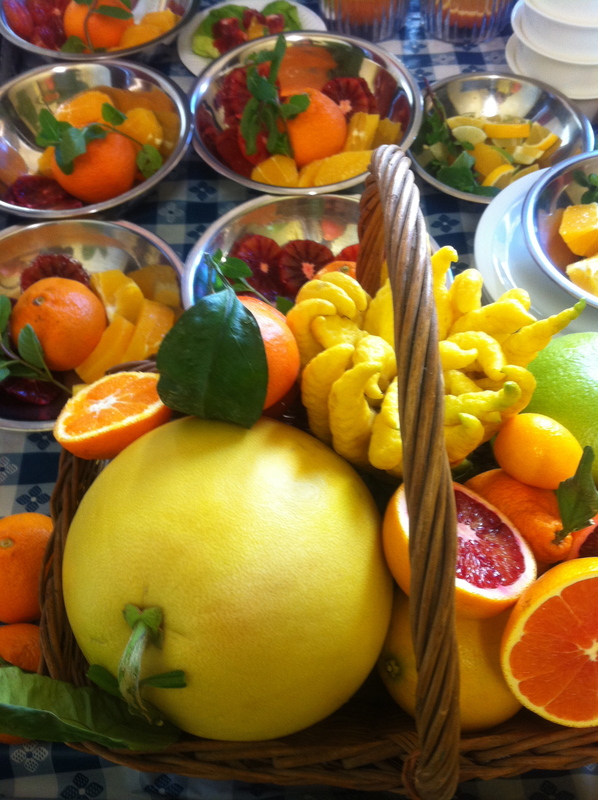 Students develop cooking skills while connecting core academic subjects with healthy food. 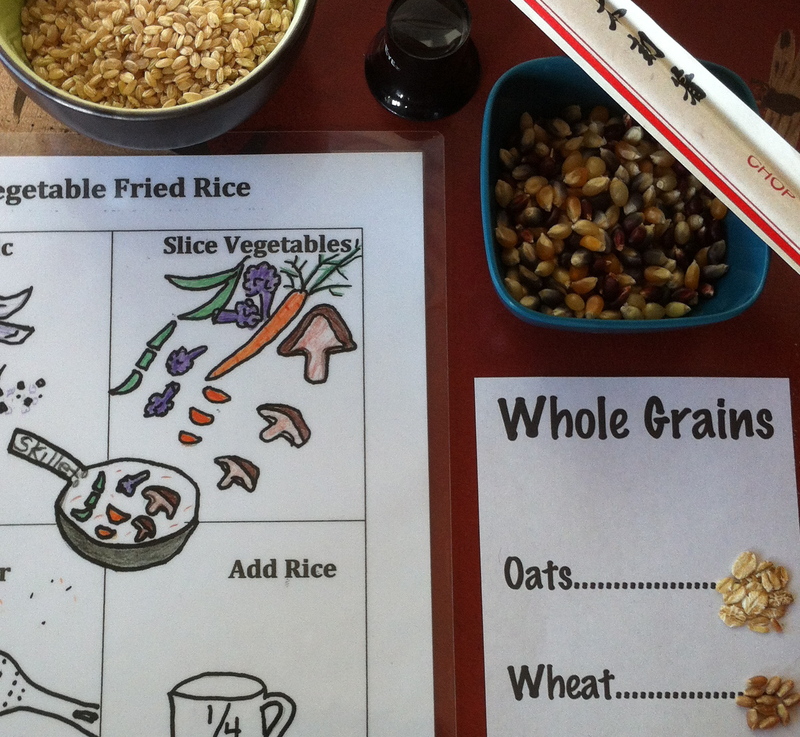 It allows students to practice important concepts through hands-on cooking activities focused on math, science, or language arts. In cooking class, students apply their math skills as they combine ingredients for a recipe using a variety of measuring tools. The ingredients in a recipe have an important relationship to each other that is similar to concepts in math, and as a result, in math, equations express those relationships. 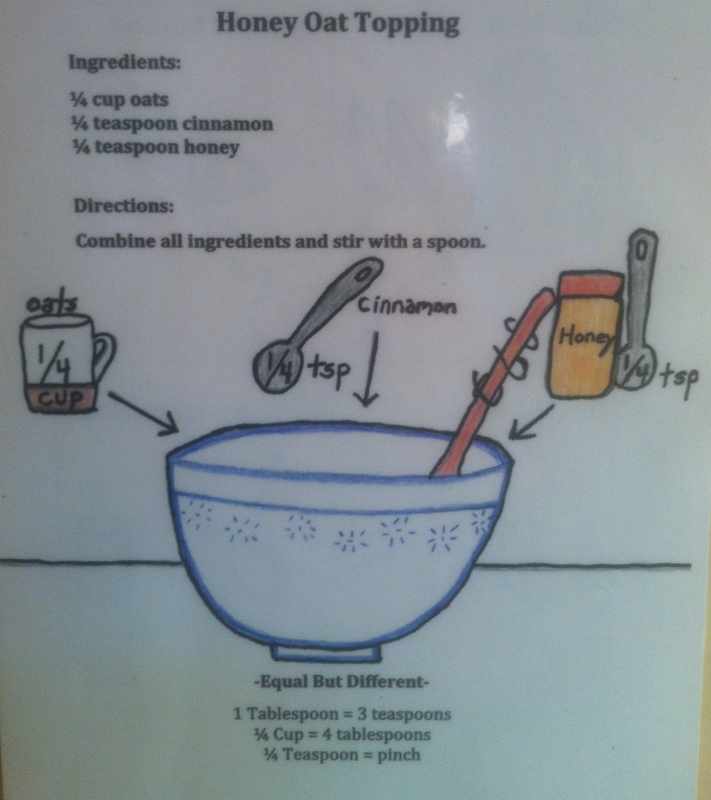 In the recipe, Honey Oat Topping, students learn there are different ways to express the same units of measurements using the concept of cooking equivalents, equal but different such as 3 teaspoons = 1 tablespoon, or 1/4 teaspoon = 1 pinch.